The French obsession with long-distance sailing, whether solo or fully crewed, has long been a phenomenon of superlatives. But even those superlatives pale in comparison to what French sailing legend Francis Joyon and his five crew managed to accomplish this past winter: smashing the existing Jules Verne record by sailing around the world, from Ushant, France, and back aboard the maxi-tri IDEC Sport in a mere 40 days, 23 hours and 30 minutes. Not only that, what was perhaps most extraordinary of all was how run-of-the-mill it all seemed: multiple intermediate records fell along the way so that it felt like the overall record was already pretty much a done deal by the time the crew rounded Cape Horn and was sailing back into the Atlantic. 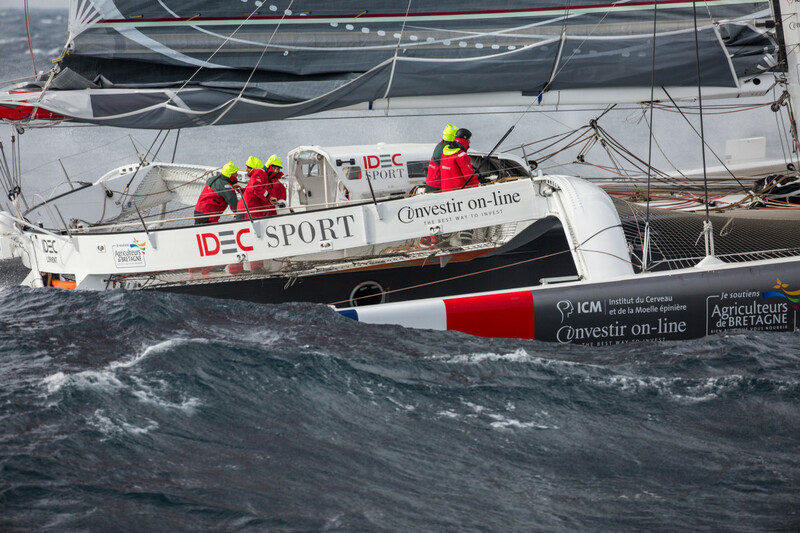 During the stretch from South Africa to Tasmania, for example, Joyon and company sliced a full day off the existing record, crossing the entire Southern Indian Ocean in just under six days. Similarly, they traversed the Southern Pacific in just over a week. Incredible! In all, the crew averaged 21.96 knots over the theoretical distance of 21,600 miles, thanks to a combination of an amazing boat, equally amazing seamanship and, as is always the case in this kind of game, more than a little luck. Congratulations to Joyon and his men for their magnificent accomplishment. It’s hard to imagine another boat or crew doing any better any time soon. But then again, you never know, especially when you consider that France’s obsession with offshore record-breaking shows no sign of abating any time soon. 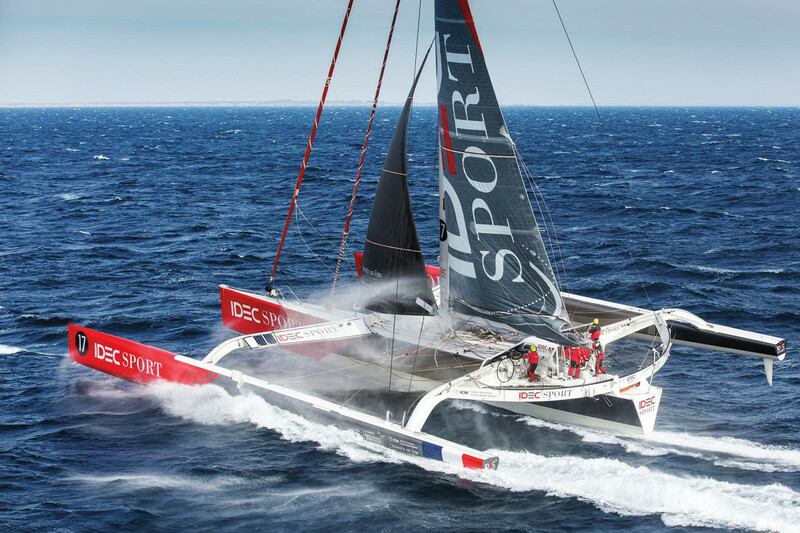 For more details on Joyon’s voyage, visit idecsport-sailing.com.